Exciting water levels during this year’s canyoning training of the Tyrolean gorge leaders demanded a lot from the candidates and trainers. Also this year the course with 25 participants was completely booked. From 05.05.-13.05.2017 the participants from Austria, Germany, Slovenia, Switzerland and Italy learned the basic techniques and skills for committing gorges and guiding guests. In the tried-and-tested system, the techniques were presented the evening before in the PowerPoint lecture, practiced the next day in the drying room and then implemented in the appropriate gorges. As we could expect after the heavy snowfall at the end of the winter, we had high water levels which provided for interesting tours. Thus, techniques such as releasable systems and anchors were also to be applied in a realistic manner. To the weather and the water levels we could go every day great and varied tours. Alpine tours with almost 100m high waterfalls or aquatic gorges with sporty water levels. The Wildwasswimmen on the Brandenberger Ache we could do this year with a perfect water level and a dream weather. A great day for sure. The participants must now deepen the learned and apply it in internships. 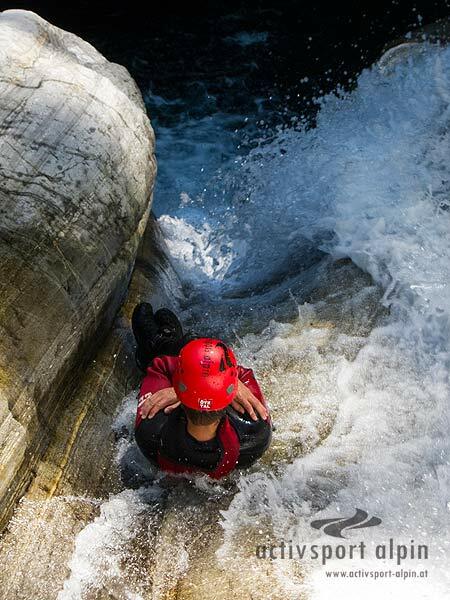 In summer, course II also takes place, in which special rescue techniques and first aid are trained in canyoning. Course III will also take place this year in Ticino, where the students have the possibility to apply and improve all learned skills. This is also where the final examination takes place. 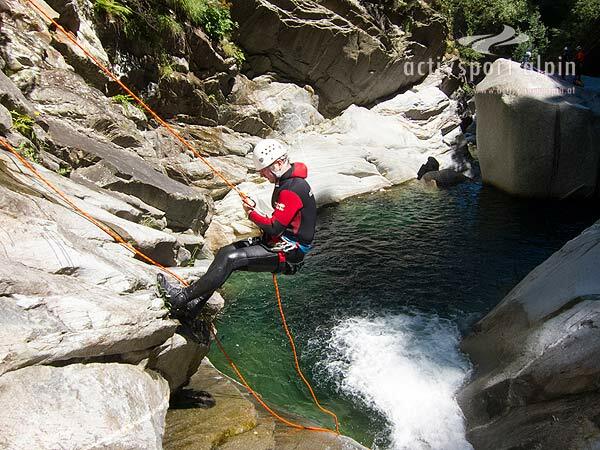 Usually the entire equipment is provided by the canyoning guide, which means neopren suit, neopren socks, canyoning shoes, helmet and harness. Should your guide not provide shoes, we reccomend ankle-length sturdy shoes, which wont be to heavy when getting wet. Usually you would wear swimwear underneath your neopren suit such as swimming trunks or bikini/swimsuit. Further we reccomand to wear a functional shirt. Advantage: More comfortable when entering, a bit warmer during the tour and simply more hygienic. important personal medicine such as allergy medicine, insulin etc. 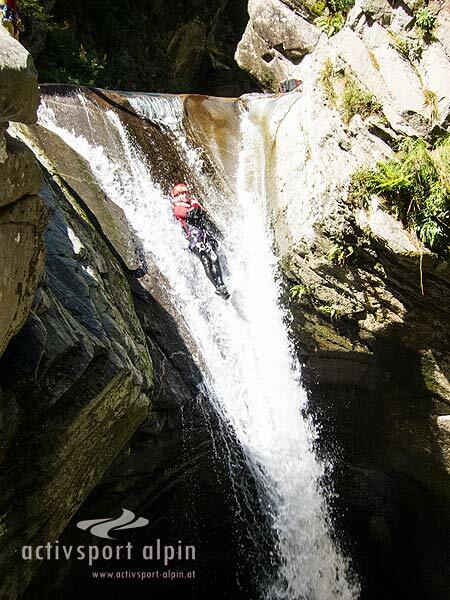 https://www.canyoning-profis-austria.at/wp-content/uploads/2016/04/CAPAU-Logo-w-300x197.png 0 0 fstadler https://www.canyoning-profis-austria.at/wp-content/uploads/2016/04/CAPAU-Logo-w-300x197.png fstadler2017-04-12 12:02:002017-05-08 12:58:57What equipment do I need for guided Canyoning?